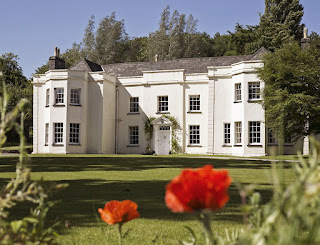 Tall John's House offers stunning guest accommodation in a Georgian manor house in Llangasty. Located in the glorious Llangorse Lake Valley in the Brecon Beacons National Park, we truly are an idyllic destination. We are ideal for a memorable holiday in Powys. We serve breakfast in our lovely dining room. 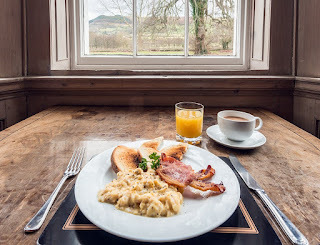 We offer homemade granola, muesli, porridge and a full English breakfast. A choice of cereals, toast and croissants accompanied by honey and homemade jams and marmalades are also available. We can help you with lunches, teas, children’s suppers, light 2 course suppers or entertain your guests with a full 3 course dinner with canapes beforehand – please enquire for details. We also have a table tennis table, a small fitness suite and sauna facility. A snooker room in the manor house is also available. You can book exclusive use of Tall John’s House – please enquire for details. Llanthony Priory and The Gospel Pass.